There are so many ways to ask the same question. My answer for each one is the same: cozy. What I mean is that, while I usually choose mountain over beach, if given a choice between climbing a fourteener and sitting in a beach chair with a novel, I will change my answer. Beach, all the way. When I say that the books I’m recommending today are Beach Reads, I may not mean what you think I mean. They are not all light and fluffy. They are not summer-themed. But if the summer is the one season when we collectively give ourselves permission to read novels during the middle of the day, then here are three great books to feed your summertime fiction obsession. A God in Ruins: A Novel (Todd Family) is the latest book by Kate Atkinson. Not exactly a sequel, it is the companion novel to her last book Life After Life: A Novel . I wrote about that incredible book here. I do think it makes the most sense to read the books in order, but if the premise of the first is unappealing you can read A God in Ruins on its own. The characters will be new and unfamiliar to you, but Atkinson is a master with her characters. A few sentences is all she needs to reveal the depths of their souls. And make you laugh out loud. Because Atkinson has a sharp and wicked sense of humor. Atkinson’s humor is especially surprising given her subject matter. While Life After Life focused on Ursula Todd’s harrowing experience of the Blitz, A God in Ruins narrates the life of her beloved baby brother, Teddy, who was a pilot dropping bombs on Germany during the war. Given the odds, Teddy should not have survived the war, but Atkinson gives him a fictional life in which we are allowed to discover just how important one life can be. In big ways (flying large bombs) and in small (choosing kindness again and again). Atkinson’s narrative technique is unorthodox. She moves backward and forward in time. She tells her stories in snatches of thoughts in each character’s head. And the result, incredibly, is a seamless narrative that keeps you turning pages. I honestly don’t know how she does it. Another master novelist is Kazuo Ishiguro. His books The Remains of the Day and Never Let Me Go are favorites of mine. His latest book, The Buried Giant: A novel , explores one of the most important questions for our world: how do we achieve peace after war and national trauma? The book explores this question at the most intimate level as it follows an elderly married couple on a fairy tale-like quest. But it also asks the question in bigger ways as it explores the fractured relationship between two national communities that were only recently at war. The surprising but very effective way in which Ishiguro tackles these difficult questions is by setting his book in the legendary, far-distant past. The Buried Giant is set in an England where ogres and dragons still roam. An England where Saxon and Briton have achieved a too-fragile accord. An England where the achievements of the late King Arthur are still felt in the land. How do we mend personal relationships after betrayal and how do we forgive and find peace following national trauma? These are enormous questions and enormously important, but Ishiguro’s story is simple, spare, and elegant. It is slow and measured and beautiful. It seems to use only the barest bones of our collective storytelling traditions. The characters are ones we have always known (wife, husband, warrior, boy) and the plot is just as familiar (a journey of discovery, a quest to destroy a dragon). But the result is a novel that is fresh and new and very much written for our world today. Ready for something a little less intense? If you are a mystery lover you will likely already have made the acquaintance of Mrs. Pollifax, the most unexpected CIA agent of all time. Widowed with grown children, Mrs. Pollifax has grown a little bored of her garden club and hospital volunteer work and so takes one last stab at a lifelong dream: she wants to be a spy. Dorothy Gilman’s Unexpected Mrs. Pollifax is the first in a delightful series. In a few places I almost find these book too delightful, but then Mrs. Pollifax says or thinks something so hilariously understated that I want to write it down and remember it forever. These books are as light and frothy as any beach read but don’t be deceived. There is more to Mrs. Pollifax than meets the eye, and there is more to these books. These fun, funny, adventurous stories rest on a very well written and well plotted foundation. Tell me, do you keep a summer reading list? 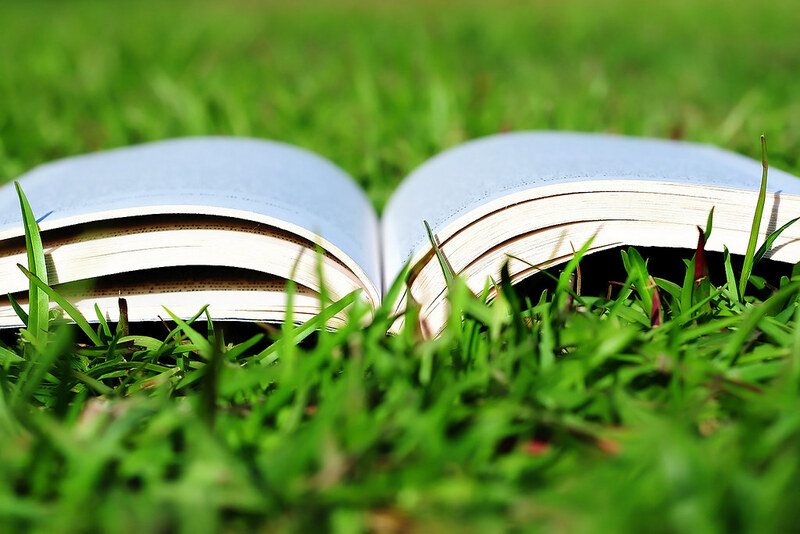 I’d love to hear what you plan to read this summer. Thank you, Friend! I’ve been looking longingly at the fiction section at the library but afraid of wasting hours in some harrowing or saccharine tale. You’ve given me a great place to start. I hope so, Summer! Our fiction-reading time is so precious. Unexpected Mrs. Pollifax is a great start to a classic series. I started reading the series in Middle/High School and it is still a great read today. Hi Christie, These sound like great books. Lately, I’ve been reading non-fiction, but I have a few fiction books I plan to read “The color of milk” and “March”. Some old favorites are “A Year of Wonders” by Geraldine Brooks, anything by Jane Austen and Dickens, “Peace like a River” by Leif Enger and loved “A Thousand Splendid Suns.” Oh, and “All the Light You Cannot See” was a fascinating and beautifully written novel. Thanks for the recommendations. Have a great weekend! Wasn’t All The Light You Cannot See wonderful? I loved it, too, Veronica. I adored “The Remains of the Day.” I read it in college for my “Literature into Film” class, which was a delightful class, I must add. I’ve not read any of these titles yet. I’d picked up “The Little Beach Street Bakery” for a light and fun summer read but I couldn’t get through it so took it back to the library. I didn’t care for the writing and the story didn’t compel me to continue. So I put “Still Life” on hold by Louise Penny (since you enjoy her books and another friend has recommended them too) and can’t wait to read it! I hope you love Louise Penny, Danielle. Be sure to read them in order and, in my opinion, they get better as you go. Happy reading! Just ordered The Unexpected Mrs. Pollifax. Was looking for some light beach reading. This appears to be it! You’ll have to let me know what you think of it, Vicki! Oh, I love Mrs. Pollifax! So fun and slyly witty. I always love your book recommendations, Katie!